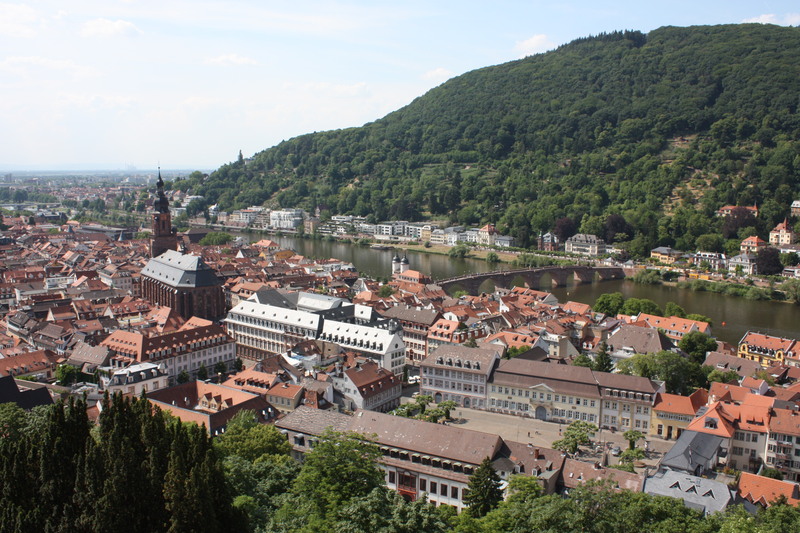 One last look at Heidelberg | Where to next? 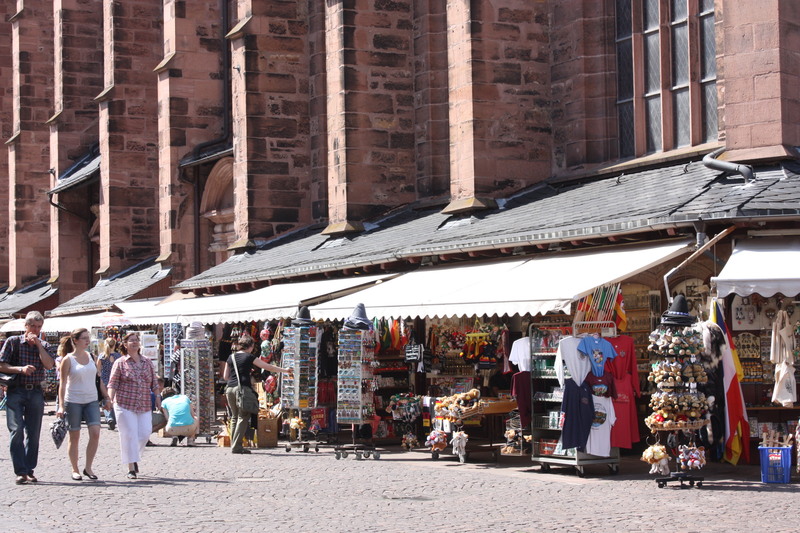 Market stalls at the cathedral in Heidelberg. Heidelberg has an enormous Gothic cathedral, the Heiliggeistkirche, built between 1398-1441. It’s the very tall building you see in the centre-left of the picture. Today it is used as a Protestant church, but in the past it was divided internally and half each was used by Protestants and Catholics. Apparently there are 204 steps to the top of the church spire, and I’m still wondering why Poor John didn’t insist that we climb them. We’ve tackled every other church spire and belfry we’ve seen. Maybe it was because it was such a few steps (we did 533 in Cologne) or because we got such a great view from the castle. The cathedral is located on the Markt (old town square) and is surrounded by market stalls, most of which seemed to be selling touristic trinkets. We have seen this union of religion and commerce in several German towns, although only in Heidelberg is it described as ‘a tradition’.